The South African government is said to be considering a ban on microbeads after Gauteng drinking was found to be contaminated. A task team has already been set up to assess the problem. This decision comes after a Water Research Commission study discovered microplastic pollution in tap water in the Johannesburg and Tshwane areas, in all rivers in Gauteng and in borehole water in the North West province. The commission, comprised of researchers from the North-West University, recommended that a ban be imposed, which would prohibit the manufacture, import and use of microbeads in South Africa. The government responded by creating a task force, set up by the Department of Environmental Affairs. The task force will be manned by officials from the departments of trade and industry, health and science and technology. The team will be working in association with professionals from the plastics and cosmetics industries. South Africa is not alone in having tap water contaminated by microplastics. A recent study sampled tap water from around the globe and found that 83% of samples were polluted by microplastic. The USA had the highest contamination rate at 94% of tap water samples containing microplastic while at 72%, the UK, France and Germany had the lowest rates. 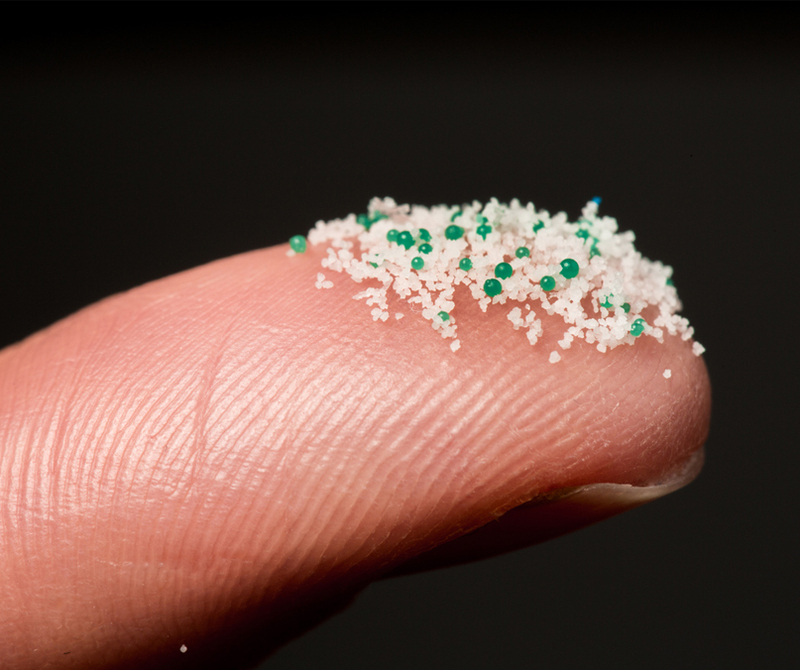 Canada, France, Taiwan, The United Kingdom and more countries have already banned microbeads. Countries including Ireland and Italy are in the process of drafting legislation to ban microbeads. Bottled water is not immune either, as a study released in 2018 found that bottled water also contained microplastic particles. While the effects of humans consuming Microbeads are unknown, there are fears that toxins such as DDT and organic pollutants could attach themselves to plastic and be absorbed. The task team has thus far proposed an amendment of the Foodstuffs, Cosmetics and Disinfectants Act to ban microbeads. The Department of Health administers this Act.